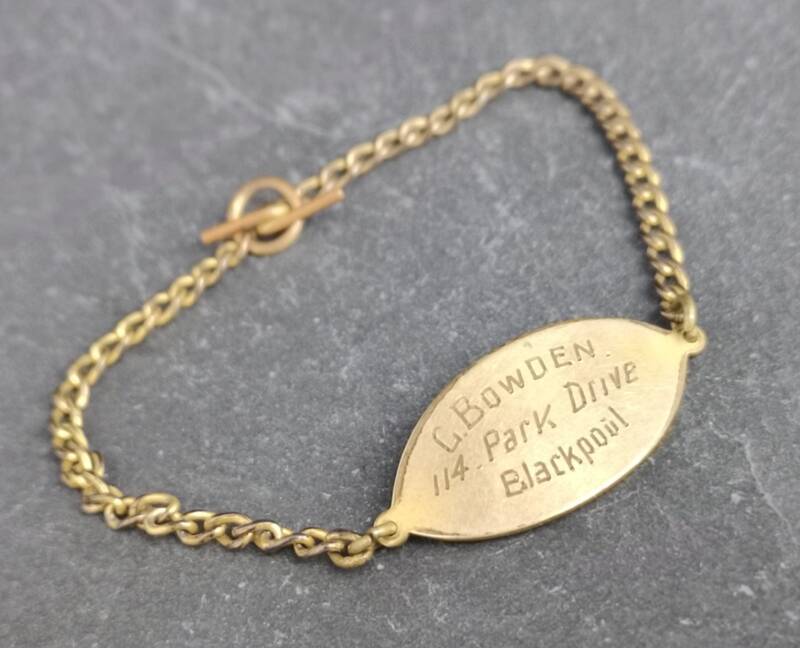 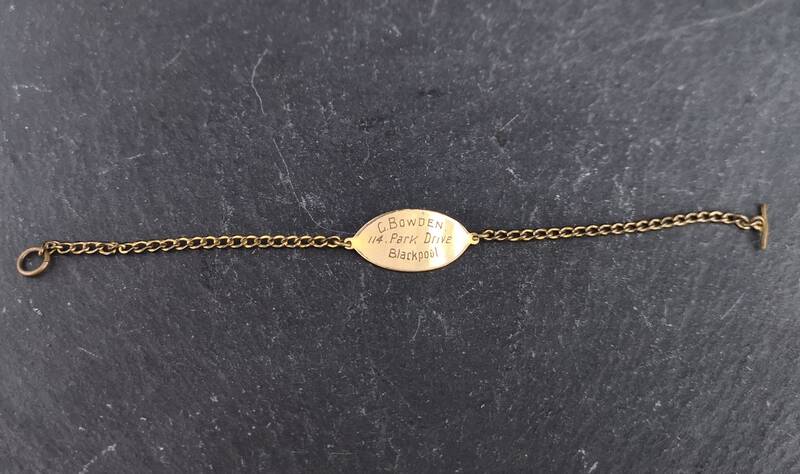 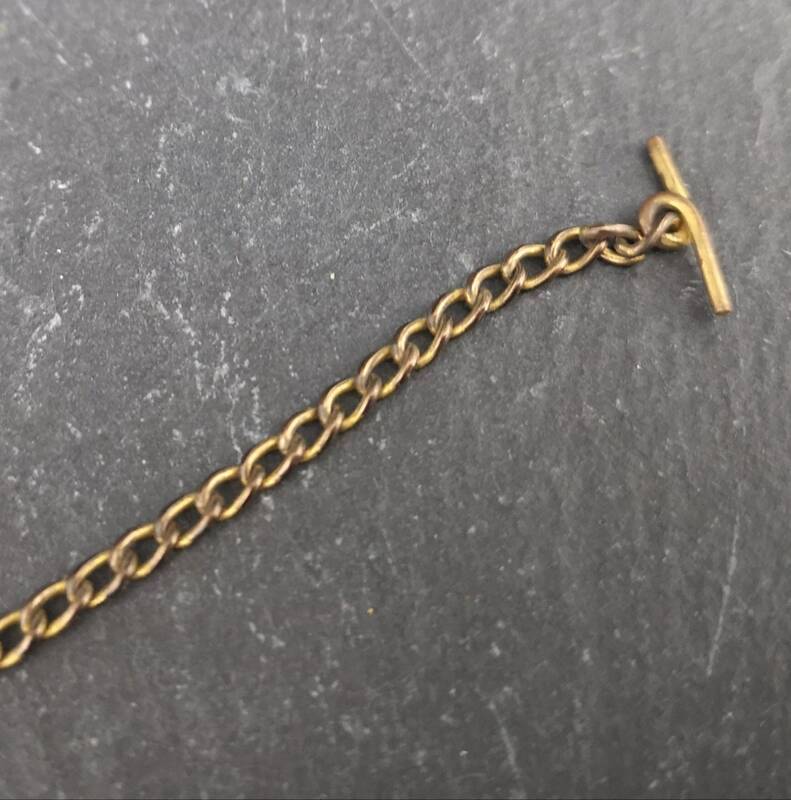 A very cute vintage 30's child identity bracelet. 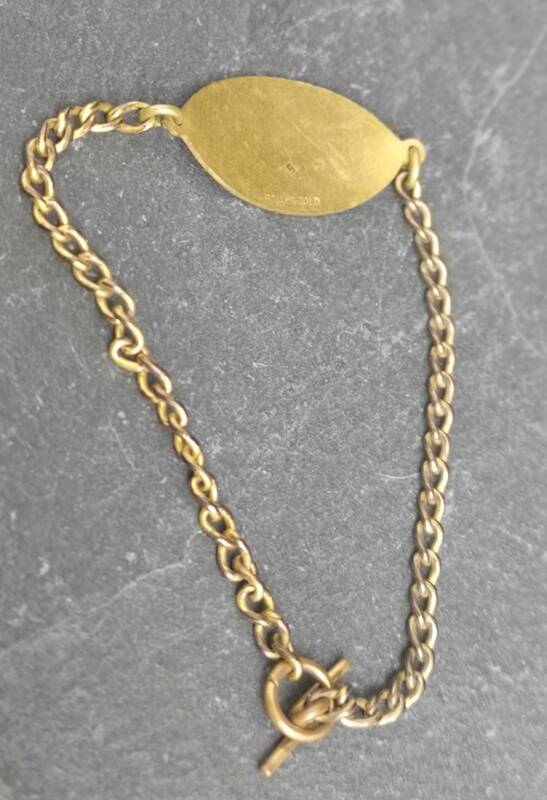 Rolled gold coated brass with a tbar type toggle fastener. 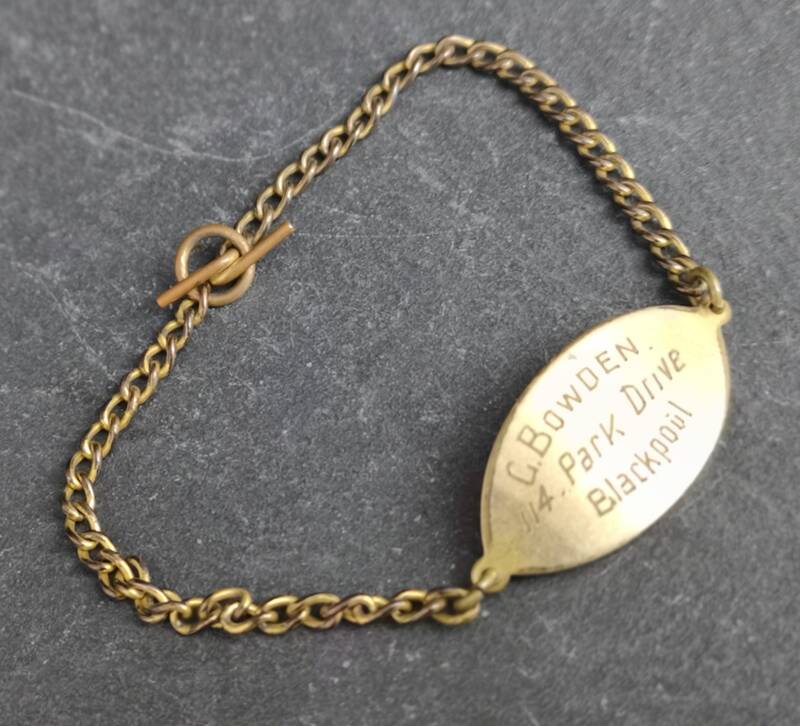 It has a small central panel which is engraved with the child's details including name and address so that in the event of an emergency someone can help them home. 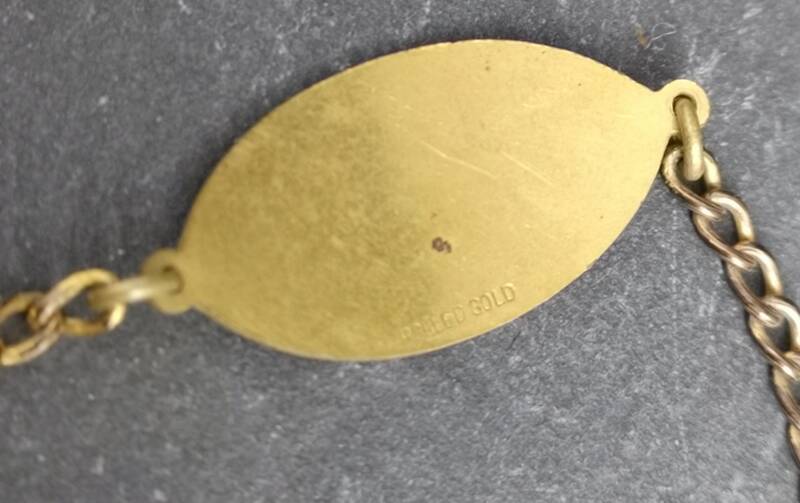 The back is marked rolled gold.